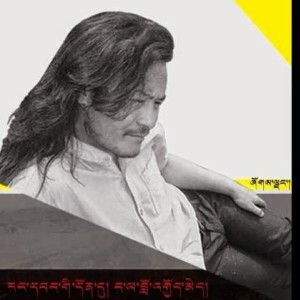 High Peaks Pure Earth has translated an article by Tibetan intellectual, writer and blogger Shokjang (aka Druklo) on June 7, 2014. It was posted in Chinese and Tibetan on Woeser’s blog on June 30, 2014. Shokjang’s piece is a dense rumination on China’s ethnic policies and his is a rare outspoken Tibetan voice in this debate that has been taking place amongst Chinese intellectuals for a few years now. Shokjang’s article was written as a response to Chinese liberal scholar Liu Junning whose March 2014 article “Rethinking the Policy of Regional Ethnic Autonomy in Light of the Kunming Incident” is available online in Chinese here. 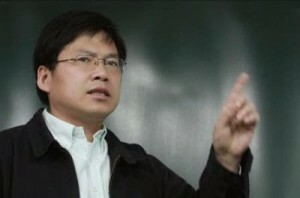 Chinese government policies towards minority nationalities, inherited from the former USSR, have been debated amongst Chinese intellectuals such as Liu Junning, Wang Hui and Ma Rong with many of them advocating different types of reform. Wang Lixiong also wrote an article “The Elephant and the Mouse” published on the Chinese pages of New York Times, in response to Liu Junning which was published in English and Tibetan translation on Woeser’s blog. For a much more in-depth overview on ethnic policies and these debates, see the 2013 publication from the East-West Center, “Ethnic Policy in China: Is Reform Inevitable” by James Leibold. High Peaks Pure Earth would like to thank Palden Gyal from Merabsarpa Journal for the impressive translation from Tibetan to English. The article, “Rethinking the Policy of Regional Ethnic Autonomy in Light of the Kunming Incident” by Liu Junning is undoubtedly a thoughtful piece, and likewise, the policies enunciated regarding ethnic autonomy are clearly different from that of Ma Rong’s radical views. Although many intellectuals and educated individuals in Tibet are stunned by Liu’s policy proposals, I think it is not really that inconceivable or undreamed of on mature reflection. My first reading of this article called to mind Ma Rong’s essay and his views. As a regular reader of Liu’s writings, I am aware that Liu’s views on the ethnic autonomy policies are quite incompatible with that of Ma Rong. This is undeniably clear from reading their articles in a comparative manner. Recently, I have translated two articles proposing quite different views by Liu Junning and Wang Lixiong respectively. My sole objective was to present their contrasting views on the issue to the Tibetan public with the hope of stimulating some serious discussions, reflections and responses of critical and constructive commentary. As it calls for, I am going to share some thoughts as a reflection or response to Liu’s piece, and I apologise for the much-delayed response. Generally, I think the ethnic autonomy model of administration is not the cause of conflicts among nationalities in China. As Liu puts it, despite the fact that this model is a relic of the Soviet Union, employed by Stalin to achieve the ends of a totalitarian regime, it does not follow that it is the origin of conflict and consternation among nationalities in China. On the contrary, I think the model of ethnic autonomous administration would function more efficiently if it was based on the provincial administration of ethnic autonomy. As we all know, the recent years saw an upsurge in internal conflicts and disquiet in China, and I also think that the only way out to resolve these conflicts is the implementation of autonomous administration of provinces. This invites us to convert the existing ethnic autonomy model to autonomous provinces model. I think this is significant in terms of answering the problem of conflict and strife between nationalities in China. In recent times, China saw a series of alarming ethnic frictions especially in the Tibetan and Uyghur regions as matters of pressing ethnic issues. These conflicts and contentions are not engendered by the system of the ethnic autonomous administration model, but are prompted by a historical consciousness. It is not easy to expunge a history of collective memory of these nationalities. Liu’s suggestion for the deletion of the term “ethnicity” [Ch:民族, minzu / nationality] is not just futile as a point of solution; it in fact might induce an unprecedented feeling of fear and threat to the existence of nationalities in the people who might see it as a final nail to the coffin of their ethnic group. As Liu acknowledges, the present government is striving hard to implement as well as amplify the policy of mass migration of Chinese population to regions of autonomous ethnic provinces inhabited by ethnic minorities, and at the same time the government is also claiming to invest a lot in the preservation of language and culture of its ethnic minorities. One day, if the model of autonomous ethnic administration is utterly eliminated and when the question of “ethnicity/nationality” on the identity cards and personal documents are erased in a universal egalitarian manner, it is plausibly predictable that the unique cultures and traditions of ethnic minorities are doomed to be assimilated to the point of complete disappearance. When that happens, undoubtedly, it is going to leave an inconceivable wound of loss in the hearts and minds of all the ethnic minorities. As a liberal, Liu Junning must appreciate the right to self-determination of the nationalities in China. Do we ever ask for the reasons why China deprives Tibet, Uyghur and others of this right? Let alone the question of right to self-determination, these minorities are dispossessed of their rights to protect and preserve their culture, language and religion. I find it disappointing to realize and reflect on why someone so progressive like Liu Junning manages to sweep these issues under the carpet. Recently, a Uyghur book dealer was persecuted for selling a large number of religious books, while Tibetans are prohibited to display photos of their most revered religious leader, His Holiness the Dalai Lama, in their own homes. These examples are illustrative of the status of our “rights” laid down in the administrative model of ethnic autonomy. In reality, we are dispossessed of these basic rights. I have read Liu Junning’s article, “Freedom of Association” which greatly influenced and stimulated me. In an attempt to introduce it to the Tibetan audience, I translated the piece into Tibetan. As Liu states in the article, freedom of association is an essential component of liberal democracy. The French political thinker, Alexis de Tocqueville, once remarked that the significance of freedom of association in American democracy is incomparable. The fact that there is no right to freedom of association in China seems to indicate that either we are ill-suited and incompatible with freedom and democracy, or because we have this “special system” of ethnic autonomy. It is true that the general level of education of the populace in these regions is relatively low, but could this be a stumbling block for democracy? As Liu states, an independent democratic system will provide conditions for improving the general education of the masses. If this is so, then why are we stripped off our rights to protect and preserve our language and culture? And why are those who attempt to do so are persecuted? I think I understand what Liu is trying to say. We share the belief that a well-functioning system of autonomous administration of provinces, based on the fundamental ideals of human equality, can be established. I too detest these events of death and violence in China. I believe this is the mainstream opinion of Tibetans, and quite conceivably, it might also be the dominant public opinion of Uyghurs. However, to establish such a new administrative model, do we have to utterly liquidate the current system of ethnic autonomy? I think this is an irrevocable mistake. In this regard, I tend to agree with Wang Lixiong. Tibetans and Uyghurs have a very different concept of national consciousness and value system from their Chinese counterparts. The idea of destroying the system that supposedly sustains the distinctive cultural and ethnic characteristics of these nationalities in achieving the political purpose of assimilation overlooks some grave implications. First, as a result of differences in our individual values system, cultural conflicts and clashes are bound to prevail. Obviously, the attitudinal as well as differences in lifestyle are quietly strikingly different. In the last few decades, many Tibetans have been striving for either independence or autonomy, and this is clearly one of the most pressing internal problems of China today. As we all know, over a hundred Tibetans have sacrificed their lives for this cause. As an issue that arrested the world in complete shock, this is not an ordinary event in the history that easily bypasses the public memory in a short span of time. Even though the system of ethnic autonomy could be replaced by a federal system of autonomous administration of provinces, how could Tibetans simply erase this episode of historical resentment and rancour from their memory? 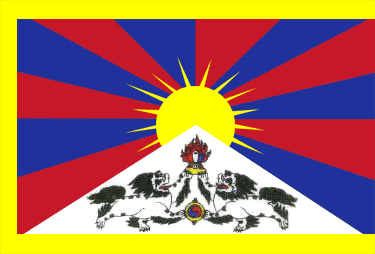 However, Tibetans do not wish or aspire to create conflict and violence among nationalities in China; they solely aspire for an autonomous Tibetan nationality within China. I would hazard that the same applies to Uyghurs too. So, the strategy of annihilating the rights of nationalities is a seriously harmful and a thoughtless scheme. On the contrary, with the current model of autonomous nationalities as a basis, if a federal system of autonomous administration of provinces based on the principles of liberty and equality is established, which I think is feasible, internal conflicts between ethnic groups would simply subside and disappear. Since the early 1980s, His Holiness the Dalai Lama has been advocating for autonomy for Tibetans. One must appreciate that this is a resolution that is beneficial to both parties. I am aware that Liu Junning proposes a policy that claims to treat Han Chinese and other ethnic minorities equally in an effort to establish an egalitarian Socialist society. However, there are a few risks with his proposal. First, many Tibetan intellectuals and educated individuals read his proposal as similar and/or suggestive of Ma Rong’s thoughts. This is detrimental to both sides, because this seems to support the idea that there is no difference of viewpoint on the issue between the Chinese intellectuals and the government. I think it is imperative that we reconsider Wang Lixiong’s concerns on the matter. With the basic principles of liberty and equality at its foundation, we are all striving towards the project of creating an ideal socialist society for future. I write this reflection with the great concern that it would be extremely disappointing and remorseful if little differences of opinion and misunderstanding were to eventuate a departure between the Chinese and Tibetan intellectuals. Even though I am still left with a feeling of lacking or an inability to express some of my own views here, my pure intention and goodwill in writing this response should suffice. In comparison with the Original Chinese version, there are so many omissions and insertions seen both in Tibetan and English translation. Please be responsible when translating others’ articles, though the starting motivation is beneficial. Thank you for your comment. This translation into English was done from the Tibetan text and not from the Chinese. It is possible that there are discrepancies between the three languages. If you would like to give us more details of anything you deem to be a serious error, feel free to email us on hpeaks@highpeakspureearth.com and we will rectify immediately. Thanks again – Editor.